Lori Dickerson Fouché ’91 and Frank Sowinski ’78 were honored as the alumni award winners at the recent Gary Walters ’67 PVC Awards Banquet on June 1st. 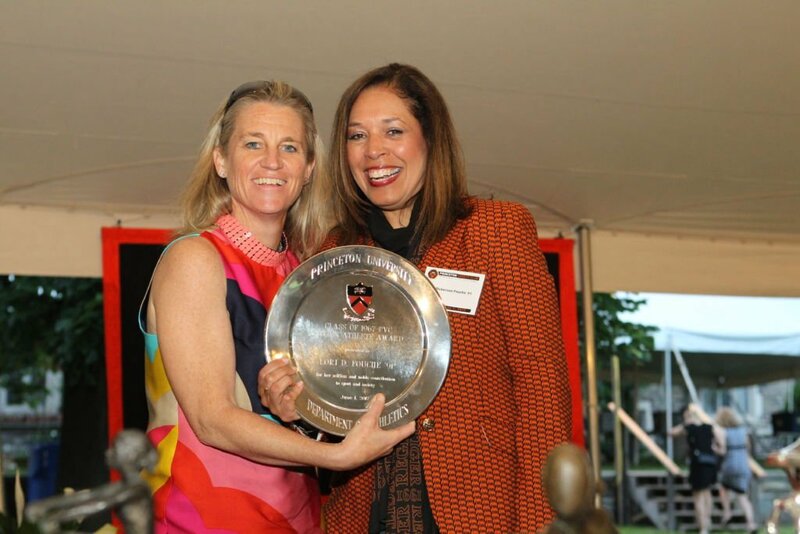 Dickerson Fouché, the president of Prudential Annuities, which manufactures variable and fixed annuities and distributes them through independent financial planners, was presented the Class of 1967 PVC Citizen Athlete Award, presented by the Princeton Varsity Club for selfless and noble contributions to sport and society. Dickerson Fouché graduated from Princeton in 1991 with a Bachelor of Arts degree in history and a certificate in American Studies. 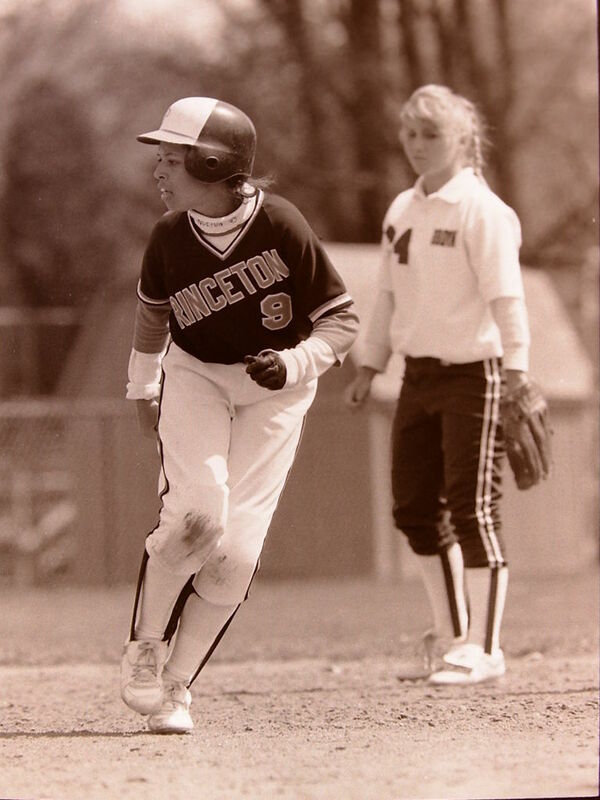 While at Princeton, she was a four-time softball varsity letter winner; named captain her senior year; selected two-time All-Ivy League and two-time NCAA Division I regional All-America; and winner of the Cindy Cohen Award for leadership. During her time at Princeton, the softball team was three-time Ivy League Champion. After leaving Princeton, she continued her education, earning a Master’s in Business Administration from Harvard University. The former three-time Ivy Champion was recently named to The Network Journal’s 2014 class of “25 Influential Black Women in Business” and Fortune’s “Most Powerful Women.” She also was named one of Business Insurance magazine’s “Women to Watch” and Black Enterprise magazine’s “100 Most Powerful Executives.” She also serves as a member of the Princeton University Board of Trustees. Dickerson Fouché joined Prudential in 2013 and became the chief executive officer (CEO) for Prudential Group Insurance, which manufactures and distributes a full range of group life, disability, voluntary, and corporate and trust-owned life insurance. Involved in the community, she serves on the board of directors for My Brother’s Keeper Alliance (MBKA), former President Obama’s initiative for supporting and advancing boys and young men of color; and the national board of directors for Girls, Inc., empowering girls to be smart, bold and strong. Sowinski ’78, the current Chairman of the Princeton Varsity Club and longstanding member of the PVC Board of Directors, received the Marvin Bressler Award, presented to that member of the Princeton family who, through heartfelt support of the University’s student-athletes and coaches, best embodies a belief in the lifelong lessons taught by competition and athletics as a complement to the overall educational mission. Sowinski was one of the many student-athletes that was mentored by Marvin Bressler. He now leads the alumni mentoring effort for women’s and men’s basketball and has helped support the creation of mentoring programs for several other varsity teams while previously serving on the Faculty Advisory Committee on Athletics. 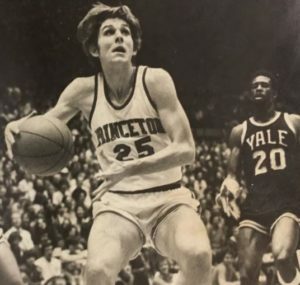 While playing for Pete Carril on two Ivy Championship teams, Sowinski was named Ivy Player of the Year and was an All-East selection in 1977. He achieved second team Academic All-American and first team All-Ivy honors in 1977 and 1978. After the New Jersey Nets drafted him following his senior season, Sowinski played professional basketball in Italy and Spain. He graduated in 1978 with a degree in engineering and later received his Master’s in Business Administration from the University of Virginia. Currently, Sowinski is the Lead Independent Director of Buckeye Pipeline Company where he chairs the nominating and corporate governance committee, and is a member of the audit committee. He is also on the Board of Directors of CDK Global, an international software company, where he chairs the audit committee. In addition, the former Tiger is a Management Affiliate of MidOcean Partners, a private equity firm, and was Vice-Chairman and a member of the Board of Directors of two portfolio companies.